Our high speed Multi Spindle Drilling Machine performs riveting operation on various rivets at a time. 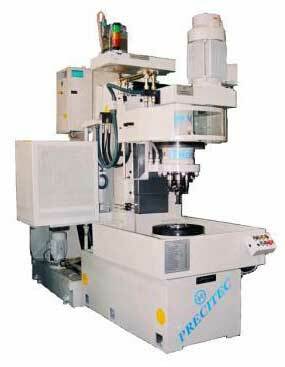 Multiple Spindle Drilling Machine offered by us is a blend of performance with accuracy. Robust construction of our Multiple Spindle Drilling Machine assures long lasting performance. We are counted among the key Horizontal Multi-Spindle Drilling Machine Exporters in India.